To install this plugin, please refer to the guide here: http://codex.wordpress.org/Managing_Plugins#Manual_Plugin_Installation Once activated you’ll be able to use the form shortcode. Create a page in WordPress admin – you can name this whatever you want. Keyword which searches for jobs that match the keywords provided. Location which searches for jobs within a certain location. Display Count which controls how many jobs get displayed. Show Pagination which shows a next/previous link in the widget to show more results. Categories to limit the jobs which get displayed. Job Type which limit the jobs that get displayed. The code can be pasted into any website (it doesn’t have to be a WordPress site) and your job listings will be displayed. 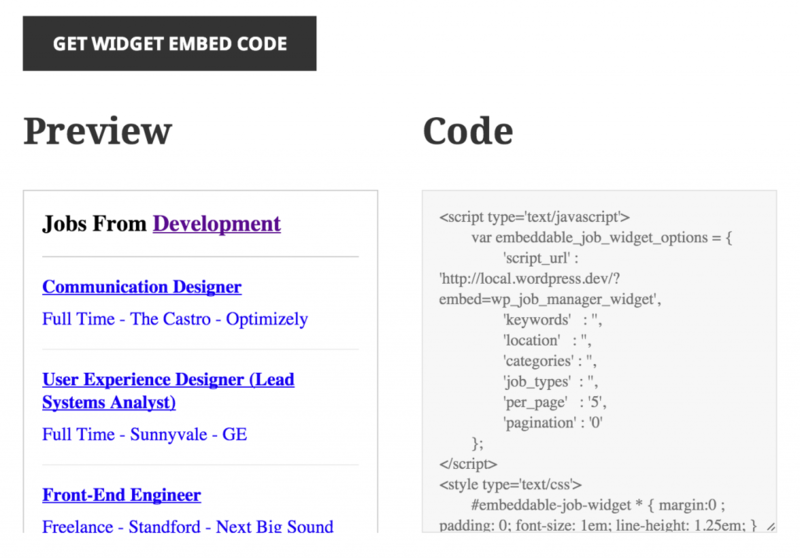 content-embeddable-widget-job_listing.php – Controls the output of each job listing. embed-code-css.php – Controls the CSS contained in the embed. form-embed-code-generator.php – Contains the embed code form. To customise these template files e.g. 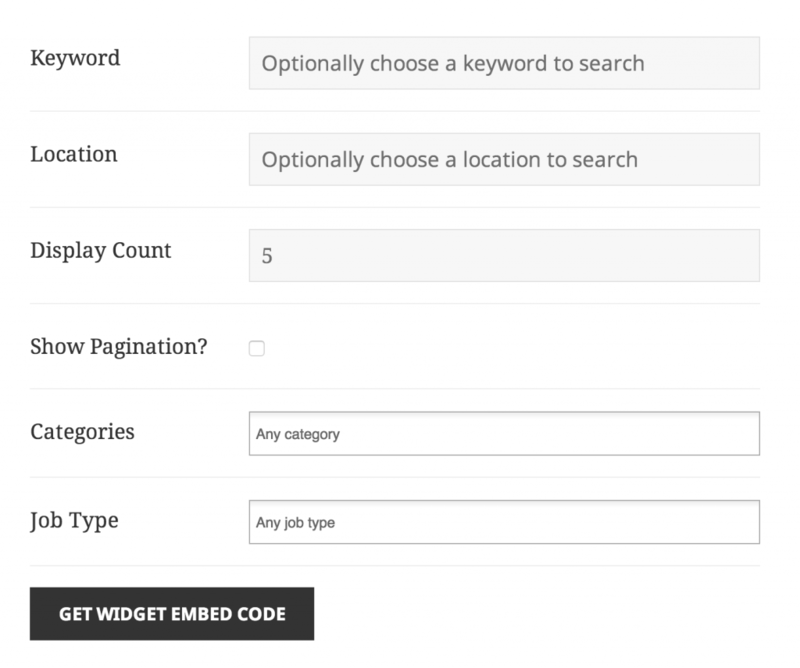 if you want to edit the styling, copy the file from wp-content/plugins/wp-job-manager-embeddable-job-widget/templates/ into yourtheme/wp-job-manager-embeddable-job-widget/. The version you copy into your theme folder will take priority.